No-fault insurance, also called personal injury protection (PIP), is designed to lower potential litigation lawsuits and expenses associated with auto accidents. In its strictest form, no-fault insurance applies to state laws that both restrict the right to sue and provide for the payment of no-fault first-party (policyholder) benefits. The insurance companies in no-fault states compensate their policyholders for economic damages (personal injury claims), regardless of who is at fault in an auto accident. There are only 12 states that currently have or include no-fault insurance. They are Florida, Hawaii, Kansas, Kentucky, Massachusetts, Michigan, Minnesota, New Jersey, New York, North Dakota Pennsylvania and Utah. Three of those states—Kentucky, New Jersey and Pennsylvania—have a “choice” no-fault law and may retain the right to sue for auto-related injuries, while the other nine states have no alternative to no-fault insurance. Let’s say two cars collide in a no-fault state and both drivers need medical care. 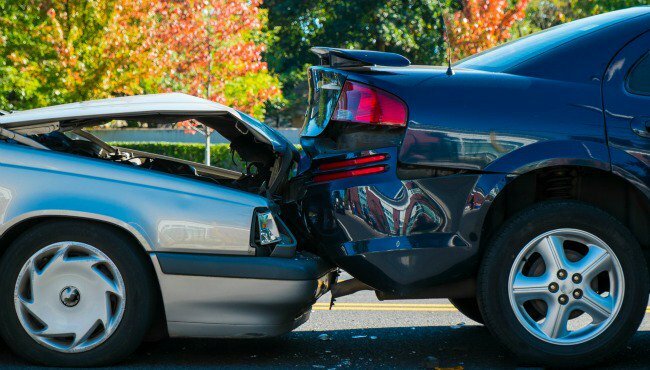 Each driver files their personal injury claims with their respective insurance companies instead of recovering their economic damages through reimbursements from the other driver’s insurance company. The insurance company must pay the personal injury claims filed by its policyholder regardless of who is at fault for the accident. Under current no-fault laws, motorists may sue for severe injuries and for pain and suffering only if the case meets certain conditions, which are known as thresholds. A verbal threshold may be expressed in verbal terms (such as death) or a monetary threshold can be expressed in terms of dollar amounts for medical bills. The main idea of using thresholds is to prevent lawsuits over every single injury and to limit the suits to “serious injuries.” However, state no-fault laws differ on the definition of “serious.” As a result, it is crucial to understand your state’s no-fault laws. Bodily injury: Liability coverage in a traditional car insurance policy pays for bodily injury claims for anyone injured in an accident which you have been deemed at fault. The bodily injury coverage with no-fault insurance extends to you. Medical bills and other losses: No-fault insurance covers your medical bills and possibly any associated losses (such as loss of income for a period of time) depending on the policy and state where you live. Because no-fault systems restrict litigation on economic damages, personal injury claims from an auto accident are paid pretty quickly as you don’t have to go after the other party’s insurance company to get reimbursed for damages. No-fault insurance doesn’t generally apply to property damage claims (repair bills for your car or personal property inside the car that was damaged during the accident) since it covers the costs associated with personal injury. No-fault insurance also doesn’t cover severe injuries and pain and suffering. If you live in a no-fault state, check the specifics of your policy to better understand what exactly it covers.